There’s no denying that Range Rover is an iconic marque seen on many roads across the globe. It has a long and rich history, and it’s even a firm favourite with footballers! These days, the Range Rover line-up has undergone something of a transformation. Gone are the boxy models aimed at older motorists. Parent company Land Rover are in the midst of a brand refresh. They want to make Range Rover cars more attractive to younger generations. And, of course, they want to sell more vehicles too! Two things that set Range Rovers apart from their SUV competitors are the engine and gearbox. 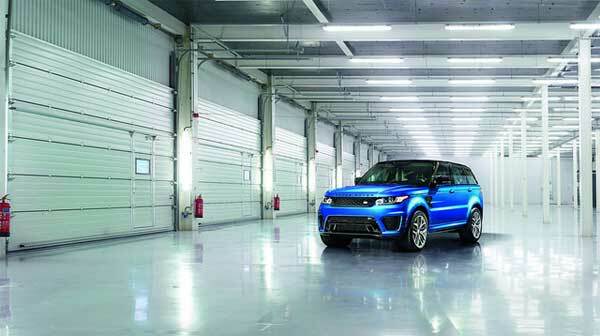 The SVR model comes with a 5.0-litre V8 supercharged engine that produces 542 bhp as standard. It’ll get you from zero to 60 mph in a mere 4.5 seconds. That’s not bad for a car that weighs 2.3 tonnes! Of course, one downside to such an engine setup is that its fuel economy figures are poor. At best, you can expect a paltry 21 mpg combined. As you can imagine, the Range Rover Sport SVR is a thirsty vehicle. Still, if you wanted high fuel economy, you’d opt for a standard diesel model. 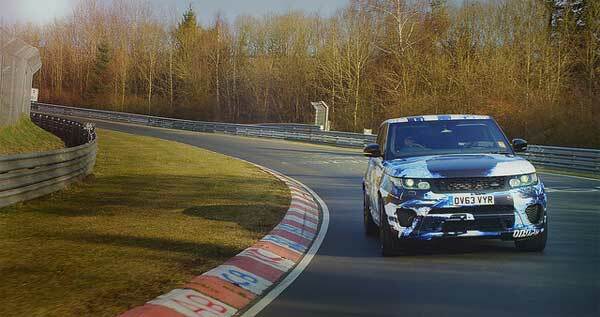 The engine in the SVR works in tandem with Range Rover’s eight-speed automatic gearbox. Land Rover say that it got “recalibrated” and offers up to 50% faster shifting. It also got tweaked for the SVR to provide more torque at lower revs. Sitting behind the wheel is a little like steering a luxurious speedboat. It just oozes power and never seems to run out of steam! With such a large SUV, you need to be confident that it’ll go around corners and stop in time. Having taken one out for a test drive, I can confirm that happens! As standard, the wheels get wrapped around Continental ContiSportContact 5 SUV tyres. Check any reviews online for them and you’ll see why everyone rates them so well. 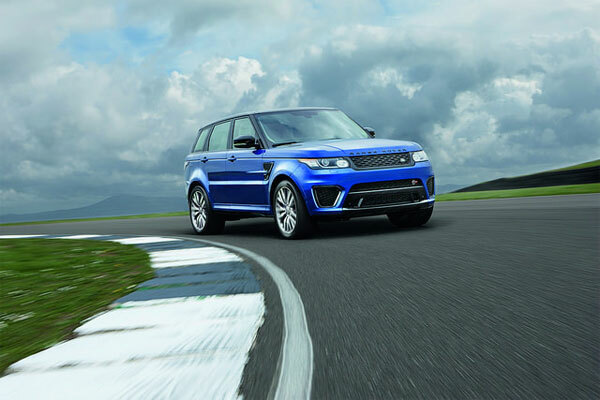 They help the Range Rover Sport SVR stick to the road. The car itself has a plethora of functions and settings to help it drive well under any conditions. Being a Range Rover, you can also take the vehicle off the road. The many sensors in and around the car help it to tackle steep gradients and slippery road surfaces. If you want an SUV that is capable of going off the road and won’t leave you stranded, this is it. After all; the last thing you want to do is buy an SUV and find it useless on anything other than tarmac! Last, but not least, the Range Rover Sport SUV is one of the most luxurious SUVs you will ever drive! The front and rear leather seats are all heated for a start. And the 19-speaker sound system will make you feel like you’re sitting inside a cinema! There is an 8-inch multimedia display up front that serves as the car’s control panel. It also provides DAB digital radio and Bluetooth streaming as standard. So, when will you go and take an SVR out for a test drive?